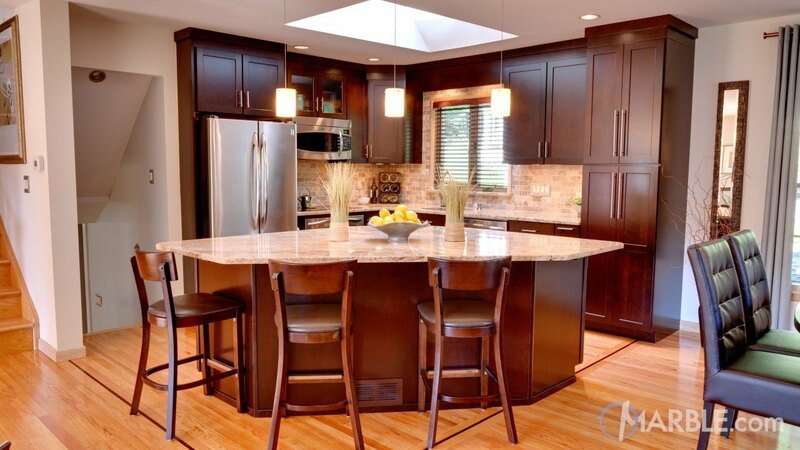 Everything in this kitchen blends together perfectly. 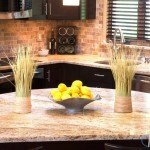 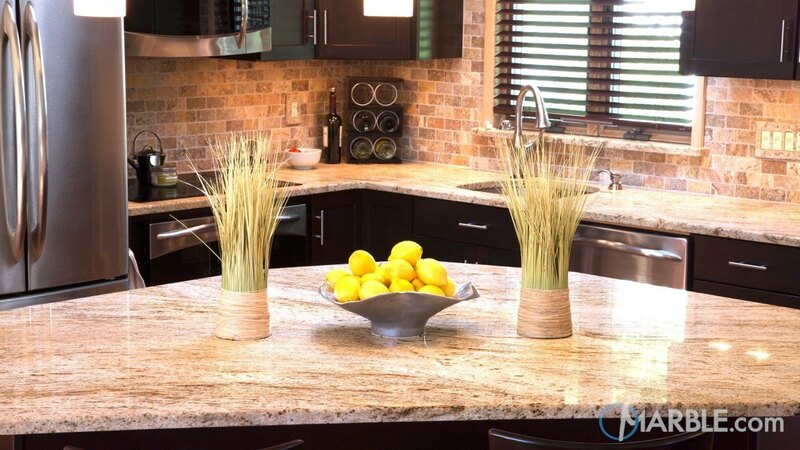 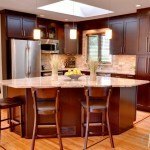 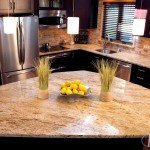 The Ciele De Oro granite counter tops with 1/4 Round Edges lighten up the dark wood of the cabinets and give the eating area a feeling of great elegance. 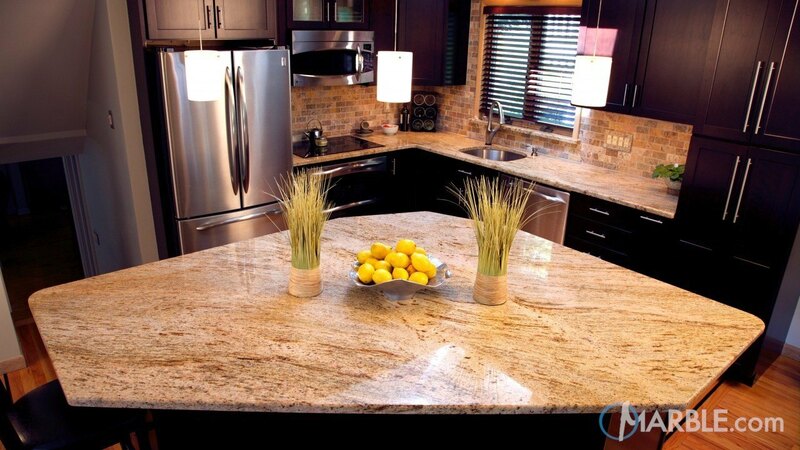 Stainless steel appliances and the pulls on the cabinets are the perfect complements to the goose neck fixtures.